Where families are headed this summer. The U.S. economy has picked up, Wall Street valuations are increasing, and corporate profits are definitely rebounding. More good news is that business travel is on the rise. The bad news is that airfares and hotel rates are getting higher than pre-recession levels. What about vacations? 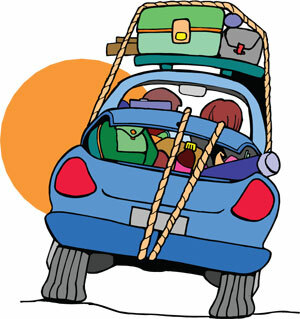 Family travelers who plan ahead and remain flexible can design a fun and economical summer vacation. The trick is to decide with your children what your family would like to do, and then find a place to do it where business travelers don’t go. Families’ favorite vacation destinations tend to offer a combination of some of the culture found in cities, a few ways to explore history, the thrill of theme parks, the relaxation of beaches and the pleasure of outdoor adventures. With that in mind, here are several great getaways that are easily accessible from the tri-state area to explore this summer. If going to museums, seeing live theater, shopping and gourmet dining appeal to your clan, visit Washington DC, an easy train or plane ride to where room rates plummet in August. World-class museums are free and terrific. The quaint neighborhood of funky thrift shops and cafes along U Street features President Obama’s favorite eatery, Ben’s Chili Bowl. Eastern Market on Capitol Hill is packed with craft vendors and bakers. News junkies especially appreciate the video wall at the Newseum. Whatever tourist attractions you visit, you’ll be happy to know that most hotels have a pool for relaxing at the day’s end. When booking, keep in mind that free summer-long festivals reach their peak around the August 28 opening of the Martin Luther King Jr. Memorial, the first monument on the nation’s Mall dedicated to a non-president. If your family prefers to fly to a farther location, some of the best wallet-friendly city destinations served by New York area airlines include Columbus, Ohio (amazing state fair in July); Phoenix, Arizona (land of the water slides); and New Orleans, Louisiana (awesome food, music and alligator tours). Ready for a drive? A New England road trip offers midway thrills in unusual settings. A palace of commerce, L.L. Bean’s flagship store in Freeport, Maine, is open around the clock every day of the week. Your kids can sleep in a tent, climb a rock wall, practice their kayaking strokes or just try out gear before a big purchase. Maine’s great outdoors has so much to offer, you can even enroll the whole family in one of the almost daily, bargain-priced L.L. Bean clinics teaching every imaginable sport. Base your stay in the quaint town of Portland or search online for child-welcoming B&Bs in every price range. Heading north to Vermont, plan a half-day tour of the Ben & Jerry’s Factory, a delightful facility where multimedia displays explain how ice cream is made. You can’t watch the cows being milked, but you can see them in the fields. Visit the Flavor Graveyard where unsuccessful products have been honorably laid to rest. Take advantage of the Green Mountains’ cool breezes and plan a night in the quirky town of Stowe. About an hour away, the hip college town of Burlington has the Burton Snowboards flagship store. The New England Culinary Institute runs a number of fine restaurants around Essex, as well as children’s cooking classes. No matter your pleasure, spend a morning or afternoon at the Shelburne Museum. Its carousel, miniature toys and priceless collection of New England silver fascinate all ages. From here, families can catch the car ferry across Lake Champlain and drive south through the six million-acre Adirondack Park, an incredible destination for another week of camping, hiking, biking and exploring. Closer to the New York metropolitan area, Cooperstown is home to the Farmers’ Museum, one of the country’s most notable collections of authentic 19th-century buildings. Guides in period dress describe the farmer lifestyle while farm hands tend to specially bred “heritage animals.” Tykes are delighted by the tiny horses, little black pigs (today’s pigs are bred to be pink) and other critters. If the Baseball Hall of Fame doesn’t interest you (and watch out for the Hall of Famers weekend in late July when hotel rates soar), then take advantage of Cooperstown’s Fenimore Art Museum and its teepee play area. Also check out Lake Otesaga for boating and swimming, as well as nearby Howe Caverns for cave touring. The beautiful upstate terrain hides many charming small towns worth a stop. Is your brood dreaming for a beach trip? Virginia packs beaches, theme parks and history into an ideal family vacation destination. School-age kids love the living history town of Colonial Williamsburg. Join costumed interpreters for a day in the life of a 19th-century merchant, and perhaps follow iPhone tours, learn handcrafts, meet American Girl dolls and argue Federalist politics with the locals. Busch Gardens Williamsburg rewards kids for their patience with exciting coasters and a water park. Just one to two hours from the tri-state area by car, Virginia Beach has one of the Atlantic’s prettiest boardwalks. Why not go for the best of everything? Traveling in the summer usually means battling the crowds. With preparation, however, you can avoid long lines and sold-out signs. Before you arrive at a theme park, go online and research whether the venue has a free, automated system that issues timed tickets, or a premium fee to put you ahead of other guests. Ask everyone in the family what rides they want to go on, allow 45-60 minutes of wait time per ride, then plan accordingly. In general, Tuesday through Thursday are the least crowded days at theme parks, and May, June and the week before Labor Day are the least crowded travel periods. Check with AAA, a local supermarket in the area and online ticket sites for discount coupons. If your family loves theme parks, consider a season pass to one of the Six Flags parks. That pass gets you complimentary entry into any of Six Flags’ park all year. Attractions and tours at Philadelphia’s Liberty Bell, Baltimore’s National Aquarium and San Francisco’s Alcatraz can sell out in advance. If you haven’t ordered tickets prior to visiting, arrive first thing in the morning to reserve your place. If you’re traveling just to see an attraction, venture online for hotel packages because they often give the best value and tickets are guaranteed. Hand luggage is an aggravation everywhere. Security bag checks take time and locker rentals eat money. Tie beach towels around waists and pack snacks in fanny packs. In general, the less you have to carry to destinations and day trips, the fewer problems you will have. What will you carry out? Be sure to establish a souvenir allowance with every child. Kyle McCarthy combines her professional vacation planning experience with family reviews in the new guidebook for vacation planners, The Complete Idiot’s Guide to the Best Family Destinations (Alpha). She and her family are based in New York City. McCarthy also serves as editor of www.familytravelforum.com.